Richard Morse, chef gwoup misisyen RAM ak responsab Hotel Oloffson nan dyalog avek Andre Eugene, co-fondate Geto Byenal lan. Yo ap pale sou fason Atis Rezistans epi Geto Byenal te fonde, ki sa vle di art ki fet nan la Gran Ri-a epi ki difikilte genyen nan domen produksyon atistik kap fet nan yon sityasyon lamize radikal. Richard Morse, bandleader of perennial kanaval favorite RAM, interviews Andre Eugene, founding member of Atis Rezistans and co-founder of the Ghetto Biennale, inside the Radyo Shak. Haitian-American Richard Morse, aka Rich “Luxurious” Lather, was the bass player for the seminal central-Jersey tropical punk band The Groceries. 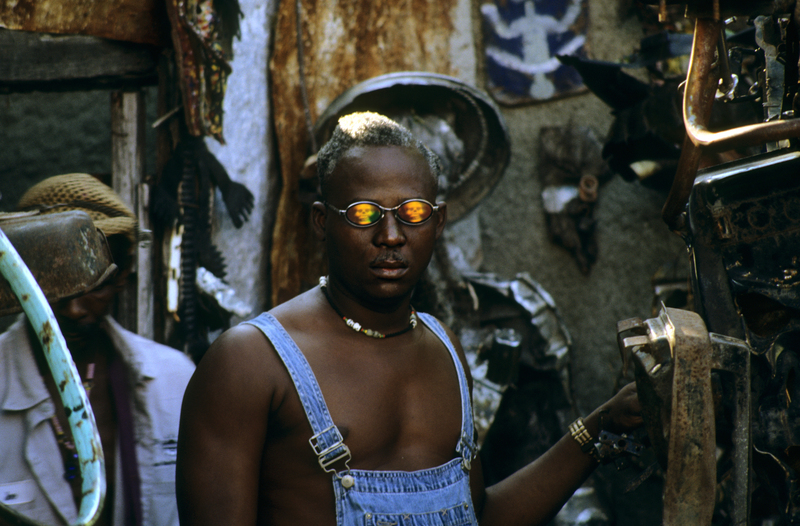 In the late 1980s, in search of vodou rhythms and his own roots, he decamped from lower Manhattan to Haiti and reopened the storied Oloffson Hotel, not far from the Grand Rue. The Thursday night gigs of his current band, RAM, at the hotel, have been an obligatory Port-au-Prince nightlife experience for over twenty years. 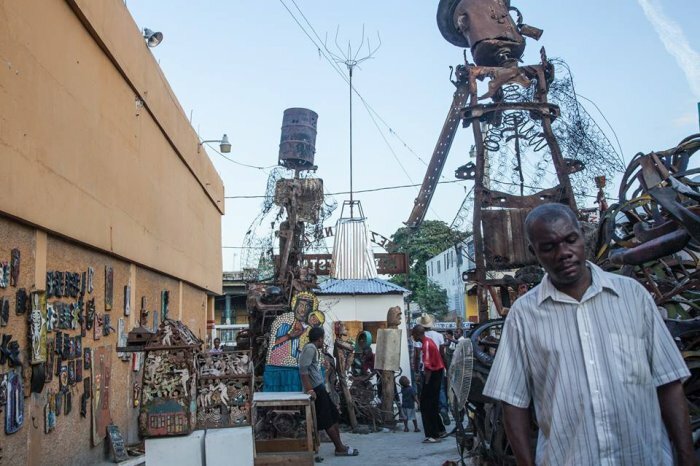 Eugene Andre, sculptor and patriarch of the Atis Rezistans lakou in the Grand Rue, has exhibited widely internationally and participated in two Venice Biennales. With Leah Gordon he is the co-founder of the Ghetto Biennale of Port-au-Prince. The two got together in the Raydo Shak to discuss the genesis of Atis Rezistans, the germination of the idea that became the Ghetto Biennale, the meaning of Eugene’s recyclage art, and the challenges he has confronted in creating art in a context of radical poverty.